drivingandlife: Bentley GT3 scores second win in a row! After scoring an historic victory at Silverstone last month, the #7 M-Sport Bentley Continental GT3 of Guy Smith, Andy Meyrick and Steven Kane finished first in the third round of the Blancpain Endurance Series at the Paul Ricard circuit in southern France, for the team’s second victory in a row. With the victory, Smith, Meyrick and Kane move in to the lead in the overall drivers’ championship standings ahead of the Series’ headline event at the 24 Hours of Spa at the end of July. 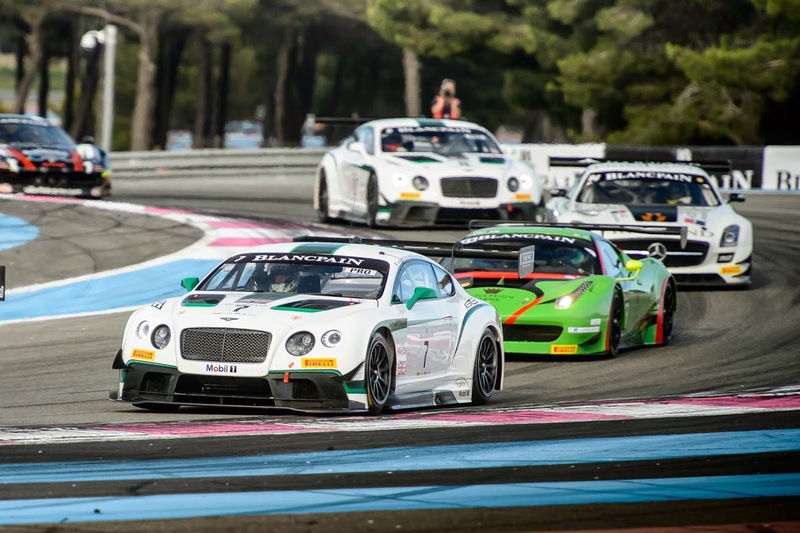 In the dusk light of the track at Le Castellet, Steven Kane powered his way to victory with a narrow lead of just 1.1 seconds after three hours of racing, in a race that demanded the very best from both the Continental GT3 and its trio of drivers. The fight for the win dominated the third and final hour-long stint of the race, with the gap between the #7 car and the ART McLaren of Parente, Demoustier and Lapierre varying between six seconds and less than one second.